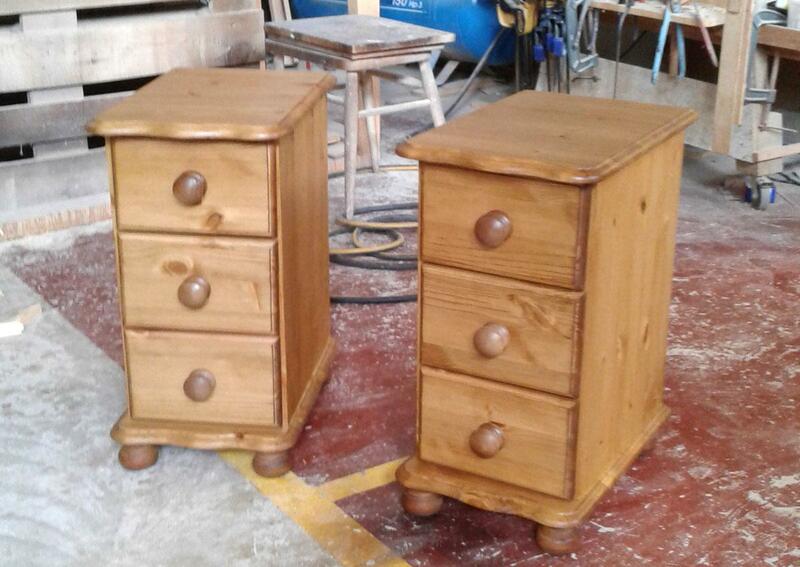 A pair of 3 drawer bedside chests in our Devon range of pine bedroom furniture. All drawers are of a robust design, constructed using dovetail joints and solid bottoms - built to last. Available finished as shown , but also as bare wood, or painted in hard wearing materials .. or a combination of the two! We can manufacture bedroom furniture to any size! Nothing second hand and NO self assembly, all of our Devon range comes ready assembled and ready to go. Complete your bedroom with a neat and pretty storage solution in the form of our bedside chests and cabinets from Home Pine. As well as established designs and finishes, we offer a range of colours, materials and finishes to fit in perfectly with your ideal bedroom.